Alan Kazam entertains...period! 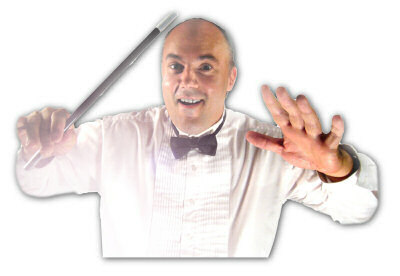 His magic WOWS both children and Adults, which is why his calendar fills up so quickly. Corporate Parties, Company Picnics, Birthday Parties, Fairs and Festivals, Church Functions, School Assemblies, Libraries, Day Care Centers...you name it! If it's fun, laughter and unforgettable memories you're looking for, Contact Alan Kazam today! For the best Magician in Michigan the choice can only be...Alan Kazam! In fact read this article published in a SW Michigan Parent Magazine: "Best Birthday Party Ever!"